Since 1963, Toyota has been known for its advancements in green technology. That same year, the company first established the Production Environment Committee to assess important issues for environmental preservation, while promoting environmental protection proposals. Since then, the Japanese automaker has established countless programs, committees, and initiatives as part of a larger effort to create a cleaner environment. The company later created the Toyota Production System or “lean manufacturing”, a system established to eliminate waste, reduce energy usage, minimize the use of raw materials, and create quality products. The Toyota Production System involves suppliers and manufacturers who share a similar vision and are willing to adhere to Toyota’s Green Purchasing Guideline in order to solidify the car maker’s commitment to a more sustainable supply chain. Toyota Manufacturing UK adopted the brand’s ‘Earth Charter’ in 1992 becoming Europe’s first car company to achieve ISO14001 certification, the first overseas Toyota plant to use waterborne paints, as well as the first plant in the UK to reach zero waste to landfill. The U.K. plant also achieved zero incineration in 2009. Toyota’s performance can be attributed in part to the company’s production system which was designed to reduce the amount of energy and water used, remove waste, and eliminate any VOCs (volatile organic compounds) released from the painting process. 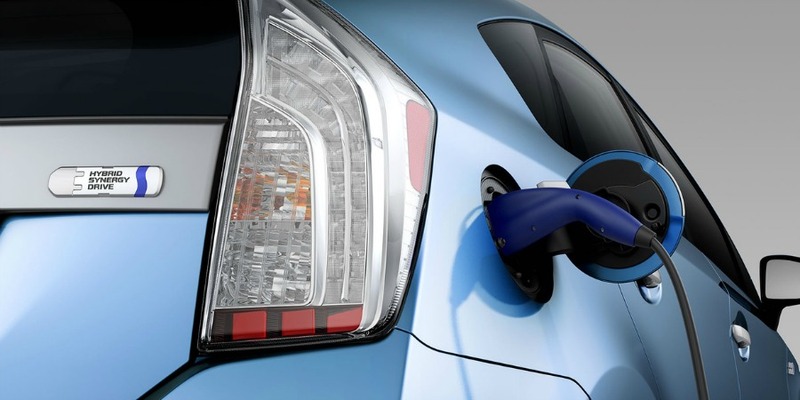 Today, Americans drive over 2 million Toyota hybrid vehicles and as the Japanese car maker looks to the future, it envisions more advances in plug-in, electric and hydrogen fuel cell technologies. Their target now? To sell 1.5 million hybrid vehicles, while erasing carbon emissions by 90 percent from its production processes by 2050 – a goal Elmhurst Toyota believes is achievable. The announcement came last month during the launch of the 2016 Prius hybrid, when Toyota noted that its fourth generation electric vehicle would achieve 20 percent more fuel economy than it its predecessor. The Japanese automaker also predicted that gasoline and diesel-powered vehicles will be on the verge of extinction over the next 35 years and plans to sell more than 30,000 hydrogen-powered cars by that time. “It wouldn’t be easy for gasoline and diesel cars to survive,” senior managing officer Kiyotaka Ise commented to a media group. Toyota says its long-term goal is to manufacture hybrid, electric, and hydrogen powered vehicles exclusively.